Everyday Minerals sells foundation, blush, color correctors, face colors and glow powders, bronzers, eyeshadows, eyeliners, lip colors, and brushes. Their loose-powder shadows and blushes are about on par with Ulta's loose-powder mineral makeup, in terms of pigmentation and adhesion. They also, as of early 2010, have a distinct site design and visual branding which garners mixed reviews. Additionally, some folks have had severe reactions to Everyday Minerals' products (EDM-relevant details further down the page, beneath the blue "why is this 'may contain' business so important to me?" text, YouTube video from a makeup artist and former EDM 'ambassador'). I am fortunate enough to have no skin sensitivity problems nor immune system problems, so have not personally experienced much in the way of rashes, breakouts, or other skin irritations while using Everyday Minerals' products...though I have had some minor problems with a few things, including one rather memorable instance. I started buying from Everyday Minerals back in early 2008. I bought about four eyeshadows, and got several samples of their blushes and foundations. I tried six foundations, but was not happy with the color matches, consistency, or coverage - so I kept looking, and eventually found my foundation from another vendor. Everyday Minerals had inexpensive shadows, though, as well as a very good try-me-free program and a customizable "super kit" that allowed one to purchase a large number of samples for a lowered price. I placed another order in late 2009 for their mint color corrector and several more eyeshadows, and eventually ordered more of the eyeshadows in their mini size - a 10-gram jar, holding approximately 2.5 grams of product. I experienced no skin irritation, and was unaware of the upheavals going on among the EDM fanbase (I hadn't really frequented the now-deleted EDM customer forum - some information about what happened to it - but shortly after I placed my November 2009 order, the customizable super-kit was discontinued, their try-me-free program was aggressively streamlined, and the forum was deleted). By this time, I had about 12 fullsize eyeshadows, three blushes, and had started using (and was pleased with) the mint color corrector. I had absolutely no reactions to any of my products; but again, I'm fortunate enough not to have extreme chemical sensitivities, skin irritation issues, or even allergies (except to bee stings), so I'm not entirely surprised. I placed some orders with Everyday Minerals this past month with the intention of making "one last stop", buying as many of their eyeshadows in the being-phased-out mini size as possible (because I really prefer all my jar sizes to be matchy-matchy [I know, I'm weird]) and buying a few more of their blushes - because they looked kind of pretty, and because if Everyday Minerals changed the formulas once before and kind of forgot to tell their customer base, they might do it again. At any rate, this was my final pass through Everyday Minerals. I like the products that I got, but will not be buying from them for several reasons. I would also urge anyone else thinking of buying from Everyday Minerals to carefully check EDM's current list of ingredients, especially if you have any known allergies or chemical sensitivities. The website before late 2009 was simple, streamlined, and uncluttered. It did not include a blog. It had some illustrations, namely section headers; but it made good use of white space. The focus was most definitely on the products, and it was easy to get around. Some time in December 2009 or January 2010, the site changed...drastically. Photos and illustrations of the owner started appearing all over the place, along with an increase in quasi-Seargeant-Pepper-esque illustrations. I know that many companies choose to give their brand a face, to give customers a feeling of dealing directly with a person and to further diffentiate themselves/their "brand identity" from all other companies who sell similar products. But this...this was a bit much for me. I've never been a huge fan of the splash page - the great big image on the front page of a website that links the user down to the top categories or sections. I was even less of a fan when the owner's photograph was effectively made the centerpiece of these splash screens, which apparently rotate every so often (there was just a change two weeks ago, in fact.) The owner's face even peeks out coyly from the floral illustrations on their "reusable keepsake box" in which their kits are packaged. It's a sudden shift not just in product offerings, but in social media strategy. They've turned their marketing efforts up to eleven - from putting the owner's face all over everything, to playing up the celebrity connections, to the aggressive (and more than slightly tangential) crossmarketing and keyword placement (in the blog, called "Fan Club".) This is a wonderful example of heavy-handed social marketing. They don't just want to sell you makeup, they want to sell you a lifestyle!! I half expect to see Dr. Oz moonlighting on the weekends, as a new addition to the Fan Club. Once you log in, it's not easy to find your account information. This is another example of the duality of the site: even though every page on the domain, even the Fan Club/blog pages, greets you by name and shows you as logged in in the page footer...you only see the links to your account if you're in the product-catalog area of the site. It's a bit confusing. It's also weird that, in the footer of every page on the site, there is a link to Your Blog Details. Apparently, one could (if one chose) keep a blog on Everyday Minerals. I'm almost positive that that's an artefact that the developers forgot to hide or outright disable - because that's an odd feature for a mineral makeup company to offer. From a usability perspective, I find it odd that the frontspiece image links to the "base" category, the "try me free" category, the promos, the beauty perks...but not to the blushes or eyeshadows, which are arguably among the first things people look for when they come to a web site. (At least this time the links work. When I placed my "last hurrah" orders, the front-page links just lead to a 404 page not found error. When working on your website, always check to make damn sure this doesn't happen. And if it does happen...don't let it stay up there for several months.) Once you get past the splash screen, the site is still easy to navigate, and the search feature is fairly good...and thank you sweet baby Jeebus, the web designer(s) didn't put a photo of the owner on every single page (or they successfully fought back against that suggestion.) I don't love the fact that the product catalog and the "fan club"/blog seem to be distinct sections in the search, but look like they're intermeshed parts of the site - that is, if you're viewing the blog and do a search for a product, you'll get results from all over the blog, but nothing from the product catalog. It would be nice to have these two distinct sections more visibly differentiated - different backgrounds, or perhaps even putting the blog on a subdomain like fanclub.everydayminerals.com - so that users have a fairly good idea that if they want to search for products, they'll want to make sure they're on the storefront before running a search. I do miss the wider varieties of Try Me Free kits. Without those kits, I would not have tried Everyday Minerals at all, even with their low prices. I especially think that not having an eyeshadow trio or quad in the Try Me Free section, even if it's rotated out every month, can dissuade users who are only interested in shopping for eyeshadows. I can guess that the customizable super kit was discontinued, and that the customizable eye-color Try Me Free option, were removed because they were such good deals that they dissuaded people from buying the shadows. But there should be a happy medium, even the aforementioned predefined set of three shadows that are rotated every month or even every quarter. This is how the various cheek and face try-me kits work currently, so it isn't as if Everyday Minerals hasn't tried that or doesn't have the personnel-bandwidth to create and rotate out these eye-color kits. The Beauty Perks program is a little bit odd. The buyer automatically gets 15% off once they add at least 5 full-sized ("big" or "mini", in Everyday Minerals parlance) items to their shopping cart. (Kits, brushes, and lip products are specifically not included in this offer.) Once a buyer adds 11 items, they get 45% off. The discount is only given on these fullsized items, not on anything else in the cart. However, Everyday Minerals appears to be in the process of phasing out their mini eyeshadow jars and offering only the sample jars. If this comes to pass, then it becomes increasingly difficult to get this much-touted discount - making this "customer benefit" something of a bait-and-switch. They must have their system rigged up to automatically print out the shipping labels, including the tracking numbers, the instant an order is placed. I placed my final order one day at 8:12 PM. I received my shipping-notice email with tracking number at 8:20 PM - eight minutes later. Since I'm two timezones behind Everyday Minerals' stated headquarters in Texas, I'm a bit dubious that their shipping department was still open at 10 PM. However, from comments I've read on other MMU forums, it's possible that one of Everyday Minerals' staff is a remote worker and lives in my timezone, and assigned the tracking number as the order was processed. My orders did arrive fairly quickly - 3 business days. On one, there was a hole in the side of the box - but no damage to the products. I like the jars Everyday Minerals uses for their "big" blushes and face powders - the flattish jar, the click-lock seal over the sifter, very nice. I wish I knew where they sourced those jars. I'd buy empties and repot all my blushes from all my various vendors. 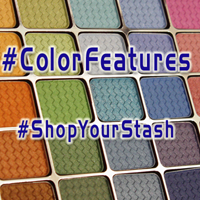 Everyday Minerals' eyeshadows are decent value if you're not expecting highly (or even moderately) pigmented colors and can get the "mini" jars - they used to sell samples at $2.50 per 5-gram jar. As of fall 2010, that same amount of product (approximately 1 gram) is being put into their rollerball packaging, called a "travel size", and being sold for $4.50. The product quality did not improve, but the price jumped nearly 100%. Their blushes are on the whole a bit more sheer than most companies', but they're a decent value - though many people have complained about the blushes turning orange as the day goes on, so if you're definitely cool-toned, you might want to avoid all but the cool reds, and stay away from the corals and borderline pinks. If you have chronic illnesses, allergies, or skin sensitivities, be very careful about trying Everyday Minerals - especially if you have known problems with lauroyl lysine. Read their lists of ingredients thoroughly, and if necessary email their customer service to confirm that their website is current and that their product labels are accurate and up-to-date. I bought products from Everyday Minerals before I found out about these problems as well as making one final order after learning the late 2009/early 2010 history of the company; but as I stated - I'm fortunate enough not to have had any reactions to their products, even after they began changing the formulations. I am also fortunate enough not to have chronic illnesses, allergies, or sensitive skin, which may or may not be a factor. 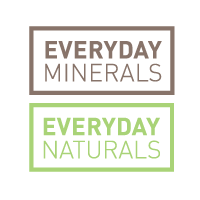 While I cannot say that I was unhappy with any of my purchases, I cannot wholeheartedly recommend Everyday Minerals to any new user because of their track record with formulations, customer communications, and overall customer service. I was lucky enough to buy the shadows when they were in the mini jars (10 gram jars / 2.5 grams of productt), I was lucky enough to get a good discount via the Beauty Perks program even if the kits and sample jars weren't included in the discount, and I was lucky enough to enjoy the colors that I got. (Now I'll just have to wait and see if any of the shadows end up having the same odor problem that Hoppity Hop Hop did, particularly the pearl-finish shadows that seem to adhere better but seem clumpier in the jar.) The best use for Everyday Minerals' eyeshadows seems to be patted over a primer or cream base, or layered (similar to Bare Escentuals' "glimpses", which were rather sheer with a little bit of shimmer.) Some of their shadows are more pigmented, and a few make fairly good liners. I'll make notes on the individual shadow-review pages, for those who are interested in trying Everyday Minerals' eyeshadows. There isn't much information about any long-term effects for lauroyl lysine. Its use in cosmetics may be a good thing, it may be a bad thing, it may just be "a thing". We don't know yet. There are no test results available in any database (as of June 2010). The only knowledge that's been available to me has been accounts from some Everyday Minerals customers who had adverse reactions as soon as the formulas changed to include lauroyl lysine. End Analysis: Yea or Nay? Based on price and product quality, I do not recommend Everyday Minerals. I have experience with the very sheer nature of many of their shadows, and the frustrating experience of their "perk-in-name-only". I have not personally had any experience that I can definitively trace to a problem with their product(s), let alone a negative reaction as severe as others have reported (and had researched quite thoroughly, pinpointing the lauroyl lysine as the problematic ingredient). True, their products are inexpensive compared some "big name" mineral makeup companies like Bare Escentuals or some other indie vendors like Aromaleigh or Meow Cosmetics; but there are other equally inexpensive alternatives whose products are similar to Everyday Minerals, qualitywise.